Welcome to the World Tall Steve! The Sky Safari at Longleat Safari Park in Wiltshire began yesterday and this morning, something very special happened! With blue skies, light winds and up to 100 balloons flying for the first mass ascent of the event, it was a tense moment for our very own Puddles and Splash who were expecting an important arrival! 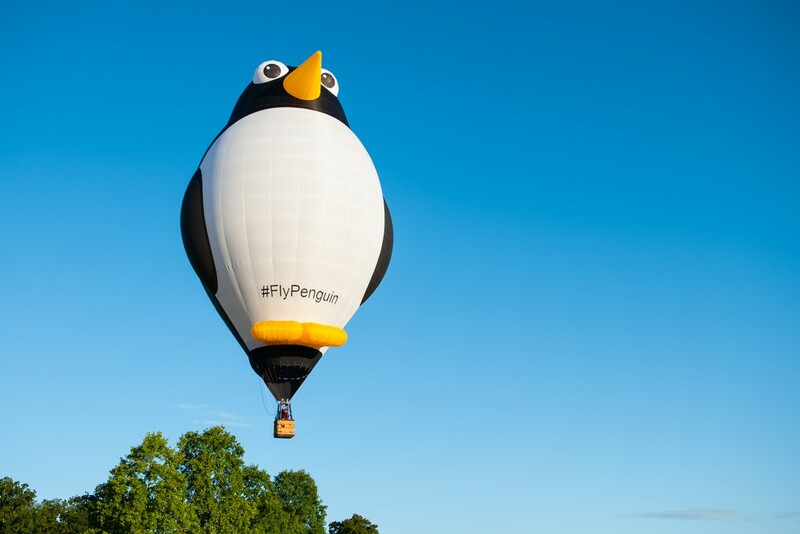 We are thrilled to welcome their first addition to the penguin family: Tall Steve! At 07:33 outside the Longleat House, Steve was inflated for the first time to the delight of the crowds. #TallSteve arrived weighing 192.5lb and the proud family celebrated by all flying together and over the stunning landscapes of the Longleat Estate and surrounding areas. Tall Steve will now become a key part of the penguin family travelling the world as his parents have done.